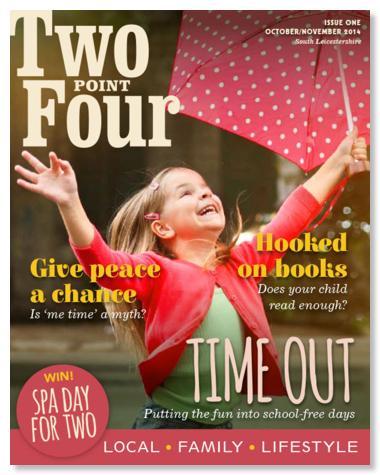 We were asked by The Bright Media Agency to design the launch issue of Two Point Four magazine, a free bi-monthly publication aimed at parents of Primary and Secondary school children, focusing on fun things to do locally with the kids, where and what to buy and parenting advice. Aimed at the South Leicestershire region, it later expanded its reach to Leicestershire and Rutland. 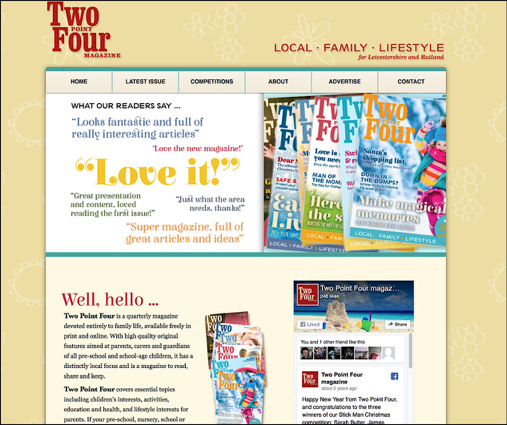 We created the masthead and designed the entire magazine. 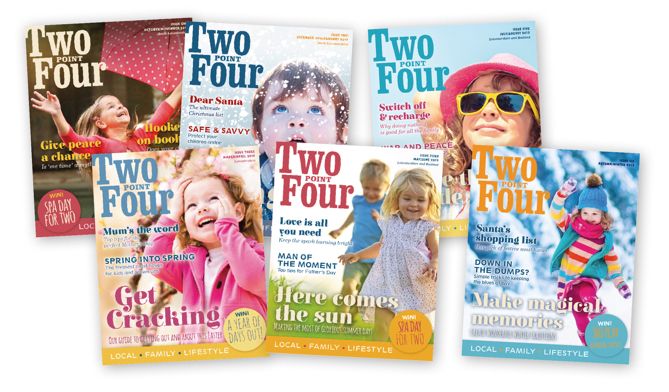 From 2015 – 2017 we created six issues of Two Point Four magazine all readable here.